Ultimate Fighting Championship (UFC) will look to start it’s 2019 pay-per-view (PPV) campaign with a bang, as UFC 233 is set go down inside the Honda Center in Anaheim, California. While a headlining act has yet-to-be announced, the card is starting to shape up nicely. 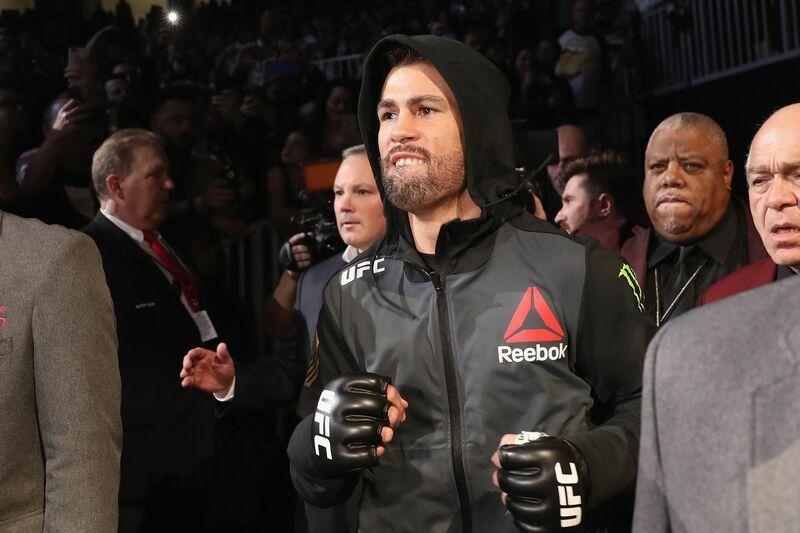 According to a report from Globo, former UFC Bantamweight champion Dominick Cruz will return after his most-recent lengthy layoff due to injury to face heavy-handed John Lineker. “The Dominator” was last seen competing at UFC 206 in December of 2016, losing his 135-pound strap to the now-former champion, Cody Garbrandt. His return was halted after he suffered a broken arm in training, canceling his proposed fight against Jimmie Rivera which was set to UFC 219. As for Lineker, he is currently riding a two-fight win streak, with his most recent win coming against at UFC 224 earlier this year, knocking out Brian Kelleher in Rio de Janeiro, Brazil. UFC 233 will also feature the long-awaited debut of former Bellator MMA and ONE Welterweight champion, Ben Askren, as he will face former UFC ex-champion “Ruthless” Robbie Lawler in “Funky’s” first fight inside the Octagon. Also, a highly-intriguing Lightweight showdown between Paul Felder and James Vick will go down at this event after their first bout earlier this year was canceled. 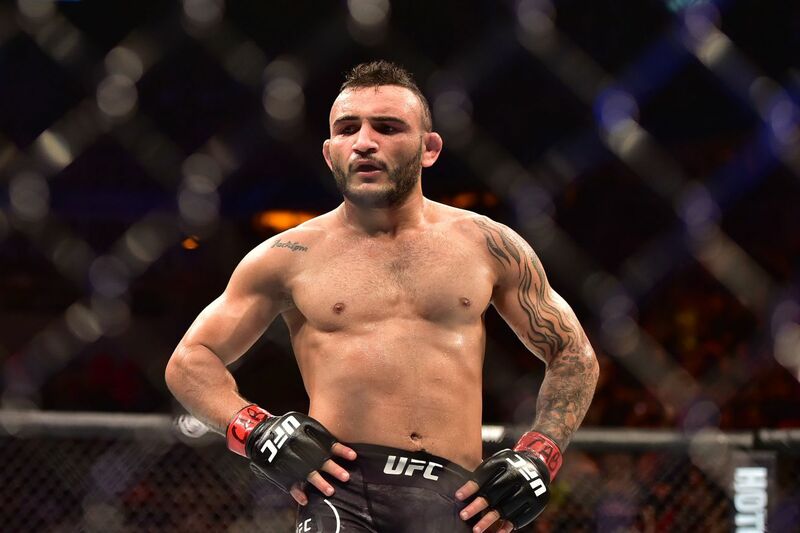 Two bouts have been added to the UFC 224 lineup, as John Lineker will square off against Brian Kelleher at bantamweight, while Thales Leites will meet Jack Hermansson at middleweight in Rio de Janeiro on May 12. Jimmie Rivera has a new opponent at UFC 219, as the bantamweight contender will square off against John Lineker in Las Vegas on Dec. 30. Brian Kelleher wants John Lineker next in the UFC, but the Brazilian isn’t thrilled with the idea. Kelleher left a great first impression in the UFC, submitting top-ranked bantamweight Iuri Alcantara in the first round and silencing the crowd at Rio de Janeiro’s UFC 212, and suggested a fight with Lineker in his post-fight scrum. Kelleher wants to be part of UFC’s upcoming event in Long Island, New York, on July 22. “Hands of Stone”, who was in Rio de Janeiro this weekend and watched Kelleher’s successful debut, isn’t interested. “A fight with this guy, it doesn’t make sense for me to fight him right now,” Lineker told MMA Fighting. “The position I am in the ranking… I don’t know where he actually is in the ranking. But it wouldn’t be good for me. Lineker told MMA Fighting he doesn’t “have anyone in mind” as an ideal opponent for his return to the Octagon following his decision loss to former champion T.J. DIllashaw, but wants to be back in the cage as soon as possible. John Lineker is gearing up for his return to the Octagon. The bantamweight striker, who fractured his jaw in the first round against T.J. Dillashaw in December, is not cleared to compete just yet, but he’s getting close to the finish line. The Brazilian is currently ranked at No. 4 in the bantamwe.ight division, and former champion Dominick Cruz, one of the fighters he always wanted to face since moving up from 125 pounds, is the only bantamweight ranked above him who currently doesn’t have a fight booked. However, “Hands of Stone” expects to face someone else in his return. “I don’t believe the UFC will give me Dominick Cruz,” Lineker said. “They will definitely give me someone else. I’m not sure who I’ll fight next, but it’s definitely not Dominick Cruz.